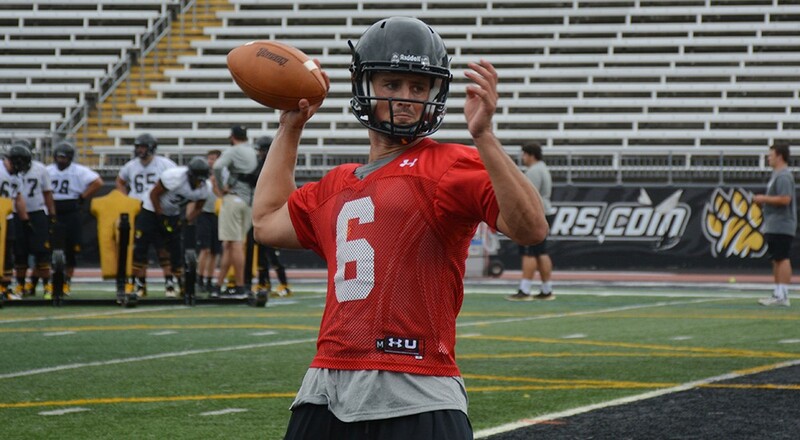 Head football Coach Rob Ambrose named redshirt sophomore Morgan Mahalak the starting quarterback for Towson’s first game of the 2016 season against Southern Florida. Mahalak, who some thought would take over for now Marcus Mariota, who now plays in the NFL, announced his transfer to Towson in February from Oregon where he spent two years with the Ducks. The 6’3” 205 lbs. quarterback from Kentfield, California, was named an Elite 11 quarterback and a consensus four-star recruit. Mahalak was in a battle for the starting quarterback position with redshirt sophomore Ellis Knudson who appeared in four games for the Tigers in 2015 and senior Heath Dahlgren. Towson will begin its 2016 season against FBS opponent Southern Florida at Raymond James Stadium in Tampa, Florida.